Yoga is the thread that weaves through all parts of a retreat, creating a colorful, enriching, and unforgettable experience. What makes up a Vajra Sol retreat? Adventure and exploration. Rest and relaxation. Social and personal time. Introspection and insight. Heart and soul. Our retreat venues offer low-key luxury with an intimate ambiance. We take care to select destinations that are in nature-immersed settings as our interaction with the natural elements is essential to maintaining our well-being. Awaken to what is calling you. Join us on a retreat. Located on the Nicoya Peninsula, a few steps to the beachfront is an oasis nestled between the jungle and ocean. It is an idyllic place to slow down, relax and rejuvenate one’s energy. Be barefoot all day, swing in a hammock, learn to surf or stand up paddle, stretch and breathe deeply in yoga, sleep restfully. The laid-back coastal town of Santa Teresa is rated one of the top 10 beach destinations in Central America on TripAdvisor. It is known for its beautiful scenery and great year-round surf. 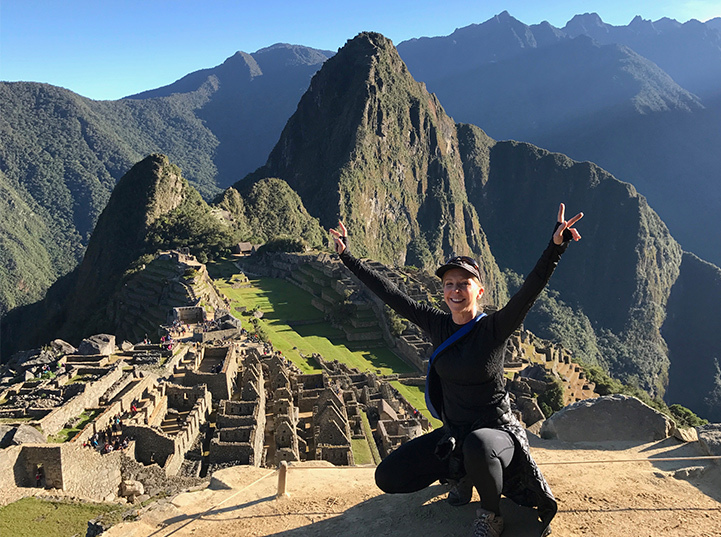 The Peru yoga retreat is a cultural and spiritual journey to the Sacred Valley, highlighted by a tour of the mystical archeological wonder, Machu Picchu. In addition to the yoga sessions, we explore Incan sites and vibrant Quechua markets and partake in Andean Shamanic and Sacred Fire ceremonies. Vajra Sol has been offering retreats to the Andean Highlands of Peru for 10 years. Be ready to open your path to an unforgettable adventure on a trip of a lifetime. Climb high with Vajra Sol on a yoga journey to one the most stunning and pristine mountain settings in the world, Patagonia. 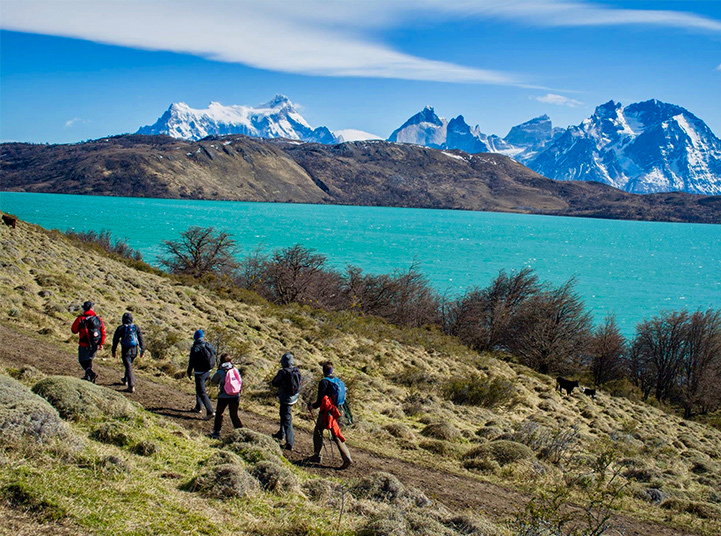 Unplug and unwind in the award-winning EcoCamp in the heart of Torres del Paine National Park. Gaze at the starry night sky through the skylights of your dome lodge. Enjoy hikes in the Patagonia wilderness balanced with yoga sessions. As with all of our retreats, we have included time to relax, hang out with fellow travelers, and have solo moments to just be. Vajra Sol’s newest retreat destination is in a charming village on the Dalmatian Coast of Croatia. Located just 20 minutes from the city of Dubrovnik, a UNESCO World Heritage site, our serene retreat destination has breathtaking Adriatic views, with the sun setting over the Elaphite islands. In addition to our daily yoga practice, enjoy Mediterranean inspired meals, explore the limestone hills of the countryside, and join in on seaside activities. Our first excursions to Old World Europe is expected to fill up quickly. Vajra Sol would love to plan your private group or corporate retreat. We welcome the opportunity to customize a Costa Rica retreat with your dates and needs in mind. We will plan every detail, including accommodations, meals, yoga, tours, activities, airport transfers, and what you envision for your retreat. Whether you want to learn to surf or spend a week diving deeper into your yoga practice, Vajra Sol will put together a dream retreat just for You! We offer private yoga classes in Santa Teresa, Costa Rica. Contact Us for more details. The principal type of yoga we practice on retreats is Vinyasa Flow, which is generally more active and dynamic to build strength, increase flexibility, and transform energy. Restorative yoga and meditation sessions are integral parts of each retreat. All levels of yoga are welcome. The premise is always – Start where you are. Who is a typical retreat guest? The majority of those who join a retreat are solo travelers, women and men, friends, family members, or couples. Guests are from across the U.S., Canada and farther aboard and range in age on average from late 20s to 60s. They are usually working professionals who prefer the comforts of a more upscale hotel that maintains a casual, low-key style. The level of yoga experience ranges from beginner to more experienced. Is a Vajra Sol Yoga retreat right for me? Read reviews on TripAdvisor for first hand commentary by past guests of their experience. Or contact us and we’ll gladly answer any questions you have. 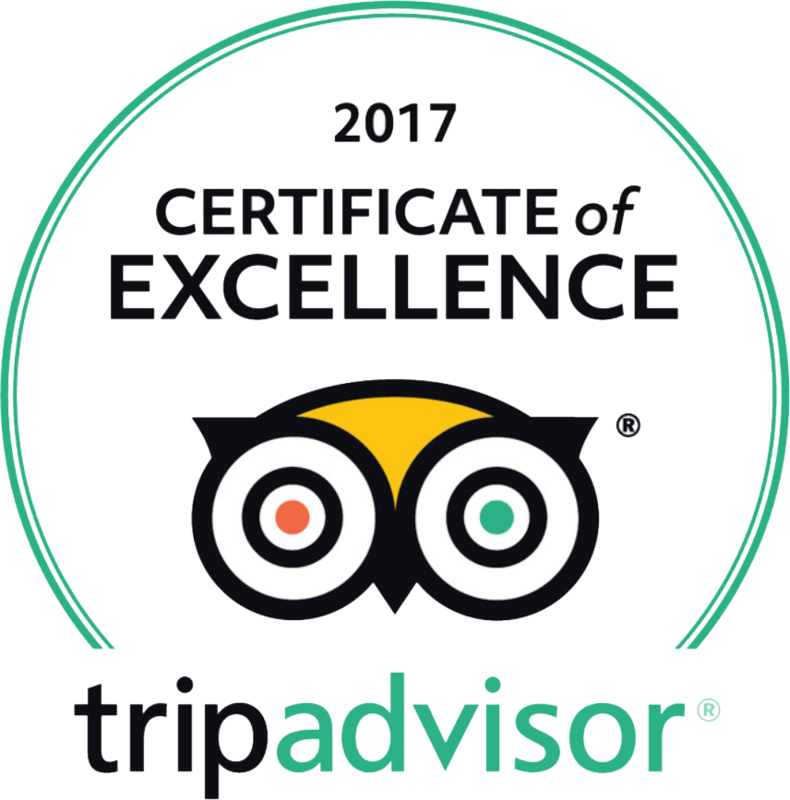 Vajra Sol has received the Certificate of Excellence from TripAdvisor for the last five consecutive years. We make it simple and easy. You’ve worked hard and the details of planning need to be off your plate. We take care of all the ground logistics, booking, and organizing. We create a welcoming and safe environment so you can trust to easefully drop right in. Book your flights, pack your bag, and sit back and enjoy the ride. We’ve got this finely tuned for you! We place a high importance on upholding the environmental and social practices of a responsible traveler. We discerningly partner with businesses that operate under the premise of sustainable tourism by showing an effort to minimize adverse effects on the environment where and when possible. Be the first to know what’s new and where we’re going on the next retreats.